Desmond Banks, MPH, PhD, has a background in social determinants of health and program evaluation. His current work involves, qualitative and quantitative data analysis, policy evaluation, and outcomes communication for Medicaid programs. Specifically, Desmond has expertise in designing evaluation plans, identifying key metrics, conducting analyses, and delivering comprehensive evaluation reports to government officials and private entities. Desmond earned a BA in psychology from Columbia University and a MPH from Hunter College−City University of New York. 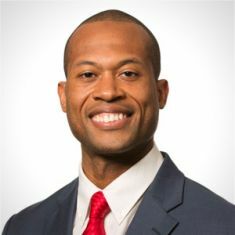 Desmond earned his PhD in public health policy from the Johns Hopkins Bloomberg School of Public Health, where he also earned a Certificate in Health Disparities en route to his doctorate degree.